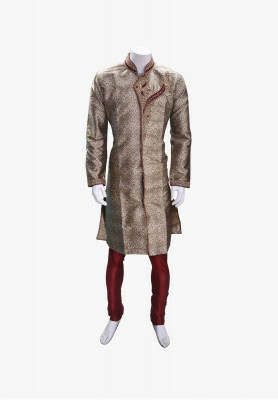 "Affordable Indian Sherwani for groom made of Katan. 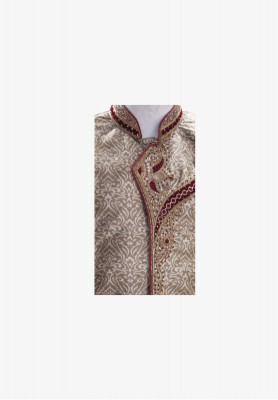 Stone and Karchupi work on body, with laces at borders. 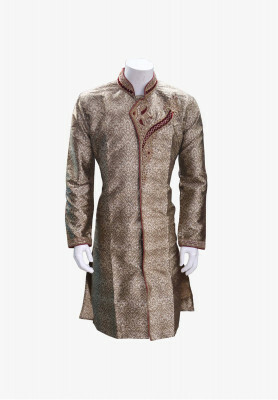 Deep golden body with maroon collar and pajama".